I'm the happy owner of a "new" second hand Myford ML7 from 1969, which is my first lathe. I have been dabbling with a small danish lathe named "SR80" which have a hight over bed of 80 mm, no powerfeed and 4 locked speeds via belt/pulley. My ML7 have no gearbox, but I'm steadily building up changewheels, but finding and fitting a 127 tooth wheel has my number 1 priority. 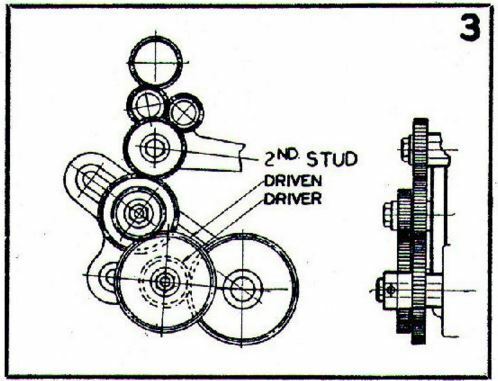 I can't find the article right now, but have read if I use a 47/37 combo, I transform my leadscrew from a 8TPI to a 2,5mm pitch and the error is less than 0.015%, but then I have to buy the 47 and 37 gears. 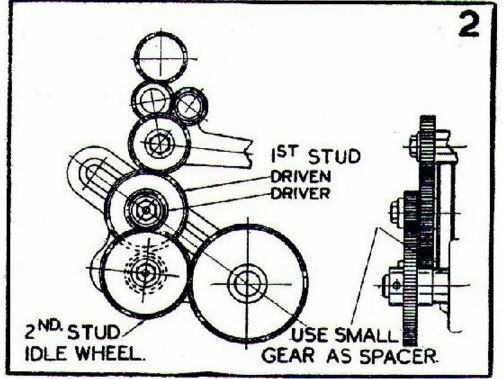 Then again, if I was to use a 21 gear, my leadscrew would catapult the apron down the bed so fast it would need a airbag at both ends of it's travel, or do I misunderstand anything ? 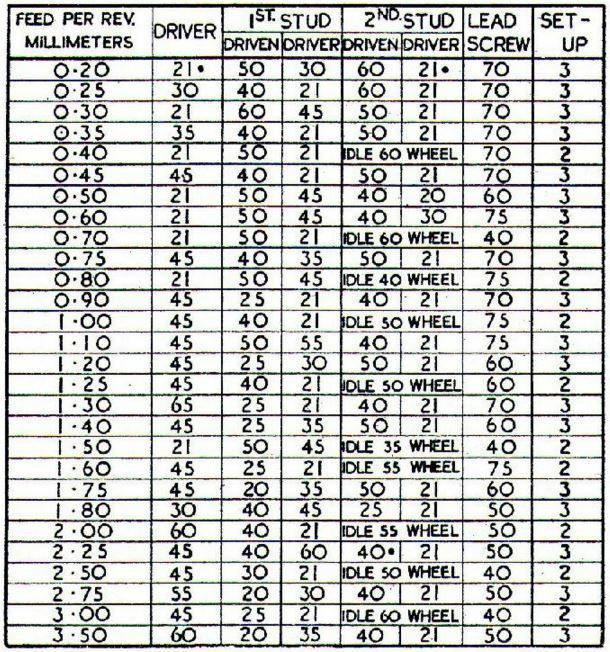 This chart shows the configuration to use 21t gear(s) for metric threading.